If you love wine, pay attention. If you enjoy exploring the many vintages and nuances of wine, pay attention: The U.S. Supreme Court is set to hear arguments Jan. 16 in a case that could bring the multibillion-dollar wine industry closer to your doorstep. This week's arguments stem from a Tennessee dispute, Tennessee Wine and Spirits Retailers Association v. Blair, over wine sales across state borders and the labyrinth of post-Prohibition laws limiting how alcohol-based beverages can be sold to consumers. The Jan. 16 session will see the nation's highest court consider whether a common state regulation — one requiring retailers to prove in-state residency in order to obtain a liquor license — violates the U.S. Constitution's Commerce Clause. Elimination of the residency rule would enable wine retailers to establish operations in all states, a scenario industry experts say would open the spigots when it comes to offering more product to consumers. The court is expected to rule on the matter by early summer. Currently, 40 states — including Texas — restrict out-of-state wine retailers from shipping directly to consumers. The case before the Supreme Court arose when Total Wine & More, a national alcohol retailer, sought to open a store in Nashville. 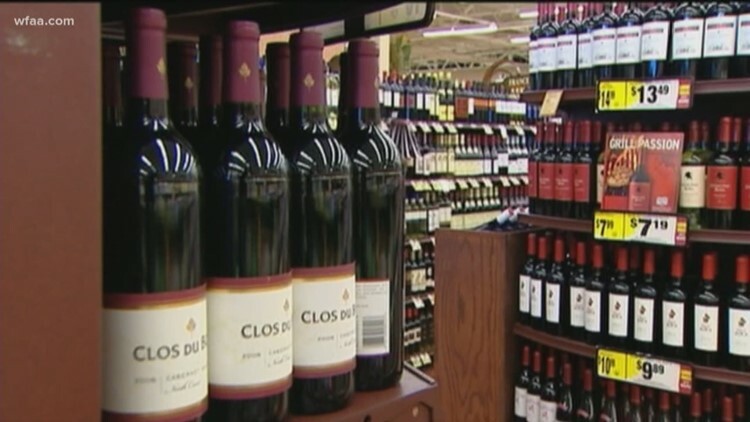 Tennessee’s Alcoholic Beverage Commission recommended approval for a liquor license, but the Tennessee Wine and Spirits Retailers Association, an advocacy group representing the state’s liquor retailers, sued in 2016 to block the license. The association cited Tennessee's residency requirement, which bars corporations from obtaining a retail liquor license unless each director, officer and shareholder of the business has been a Tennessee resident for at least two years, among other requirements. Attorneys for Total Wine argued the Tennessee law was unconstitutional, while the association argued the 21st Amendment, which ended Prohibition in 1933, gave states wide latitude to regulate alcohol sales. The U.S. Court of Appeals for the Sixth Circuit ultimately sided with Total Wine in February 2018. Total Wine has since opened a store in Knoxville. The potential impact of Blair is enormous. If the justices hold that residency requirements are discriminatory under the Commerce Clause, wine sellers across the country — including major online retailers such as Amazon.com (Nasdaq: AMZN) and Walmart Inc. (NYSE: WMT) — could pile into interstate wine sales. Industry experts say cross-border sales would be a particular boon for retailers working with smaller vineyards and collectors of rare or high-end wines. "While the total volume of wine shipments is a relatively small part of the (wine) market, around 2 percent, the price point for the wine being shipped is often much higher. The people who typically pay to have wine shipped are often willing to buy more expensive wine," said Jon Moramarco, a wine industry analyst and managing partner of Santa Rosa, California-based BW 166. While U.S. alcohol consumption per capita is well off from highs seen in the late 1970s and early 1980s, wine consumption has been on the rise, according to the National Institute on Alcohol Abuse and Alcoholism, a division of the National Institutes of Health. Between 1990 and 2016, alcohol consumption among U.S. residents over the age of 14 dropped to 2.35 gallons per capita from from 2.43 gallons annually, a decline of about 3.3 percent. Over the same period, wine-related alcohol consumption grew 0.44 gallons per year from 0.33 gallons per capita — an uptick of over 33 percent. Texans still consume significantly more beer than wine — 1.3 gallons per capita vs. 0.34 gallons per capita as of 2016 — but Texans’ wine consumption skyrocketed 143 percent since 1997, while beer consumption decreased 18 percent. Consumption of spirits in Texas also fell 12 percent since 1977 to 0.69 gallons per capita in 2016. No surprise, retail wine sales have nearly doubled over the past 15 years. Between 2002 and 2017, U.S. sales grew to $62.2 billion from around $33 billion, according to the Wine Institute, an industry advocacy group. Consumers spent $2.69 billion nationwide in 2017 to have wine shipped directly from producers, a 15 percent increase over the prior year, according to a recent report authored by Sovos, a Massachusetts-based analytics firm, and Wines & Vines, a wine industry magazine. The same report found the top five destinations for bottles shipped per capita are California, Oregon, District of Columbia, Washington and Colorado, respectively. Pennsylvania became a top-10 destination in 2017, marking a 158 percent increase in shipments over 2016.